There’s a lot going on in your garage or workshop. As such, it can overwhelm or intimidate you when things get out of hand. That’s where the adage of ‘work smarter, not harder’ comes into play. 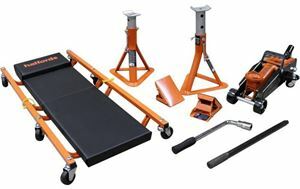 There’s a veritable smorgasbord of kit out there that can make your workshop time more efficient and with it, more enjoyable. Don’t get frustrated because you’re lacking kit. Instead, invest in these ten garage essentials and laugh in the face of any mechanical mission. A socket set is an obvious must, but what you might overlook is a longer ratchet. The one you get in your set will normally be about eight inches long, which is okay. 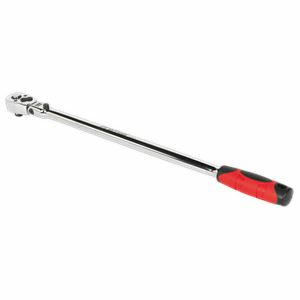 If you step things up and get a ratchet that’s around a foot in length, you’ll be glad you did. That extra length will give you the extra leverage needed for those really stubborn nuts and bolts. Working on something under or low down on the car? Your knees are going to suffer. The good news is you don’t have to put yourself through any pain. Instead, use a creeper stool. With four wheels and a comfy seat, it’s the perfect perch for those jobs that are closer to ground than others. You even get a handy tray to carry tools, too. 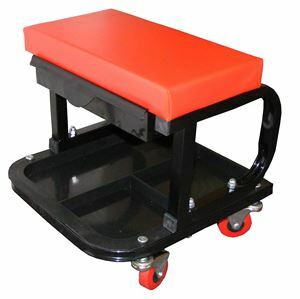 Mechanics Seat - On Castors -with roller bearing TOOL DRAWER & Tray. You don’t want to be getting deep into your engine bay, only to find yourself stumbling around in the dark. 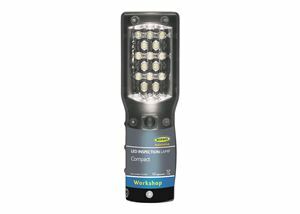 Light is the key, so get yourself a decent work light like this one by Ring Automotive. It’s LED, so won’t chew through batteries. It’s compact, so it can get into all the small spaces, and it’s durable, so it won’t give up when you inevitably drop it. Perfect, then. There is nothing worse than dropping nuts, bolts screws or sockets deep into the recesses of your engine. You’re never going to get your fingers in there to fish them out, so what do you do? Spend £15 on this little collection of magnetic tools, that’s what. 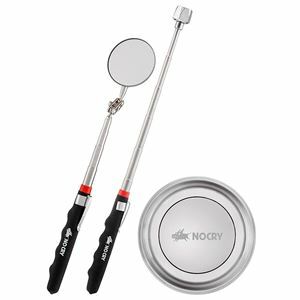 The try will hold all your removed screws and bolts, while the telescopic magnet will help you retrieve anything you might drop. There’s even a mirror to help you find any lost metal. Very handy indeed. The jack in the boot is an emergency measure, designed to be used to quickly change a wheel. Nothing more, nothing less. It’s not for prolonged use, so it’s daft to have one in your workshop arsenal. Instead, get a proper jack, and while you’re at it, get some decent axle stands, too. Don’t prop your pride and joy up on wood or tyres. This set from Halfords has it all, so you can jack up in safety and even get under the car thanks to the creeper. By the time you’ve bought the gun, the battery and the charger, it’s not a cheap addition to your workshop, but trust us when we say you’ll soon be gad of it. An impact gun will make light work of any big jobs, meaning you won’t be straining or pulling muscles in the process. 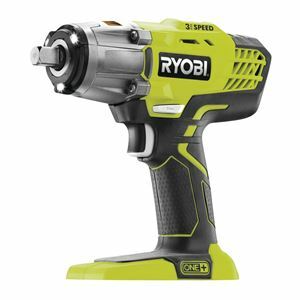 This Ryobi example has more than enough grunt (220Nm of torque) to tackle even the most stubborn of nuts and bolts. And being lithium-ion, batteries charge fast but last for ages. The thought of having to go out into a cold garage or workshop is not one that goes hand in hand with productivity. Happily, you needn’t worry about catching a chill, as there re plenty of heaters out there that will make your workspace far more pleasant. 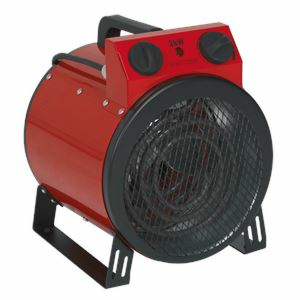 Take this 3kW electric fan heater from Sealey for example. No need to mess around with diesel or kerosene. Just plug it in, turn it on and warm those cockles. Sometimes a job requires you to get a firm grip on the situation. What you need then, is a bench-mounted vice. The possibilities here are endless, making this an absolute must-have. You can bend metal, you can grip parts you need to get firm leverage on, you can crush things into place, you can use it as a small anvil for hammering metal, the list goes on. 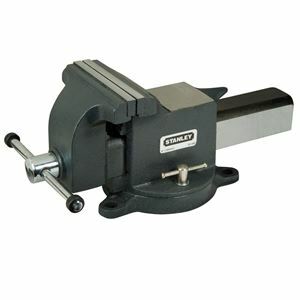 A vice will make a lot of jobs a lot easier. As the extended ratchet at the top of this list shows, leverage is key. However, not everything that needs some persuasion can been tackled with a socket. That’s why you need a set of pry bars. With these, you should be able to get into most spaces and, as the name suggests, use them to pry things free. For the safe of less than £20, they’re well worth having, and will make what could be a hugely frustrating job the work of but a moment. There was a time when an error or warning light meant an expensive trip to the garage. Now though, thanks to the internet and online shopping, you can save yourself some of the expense. 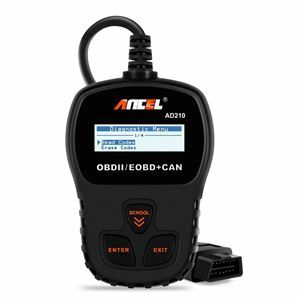 Car code readers, which plug into your OBD2 diagnostic port (cars 1996 onwards) are readily available, and they cost very little. They may not always be able to clear down a fault, but they will be able to identify it in most cases. And if nothing else, that should save a few quid when it comes to the garage having to diagnose the fault.